【Features】Women's slide sandals. Buckle strap, thong style, cork sole flat. 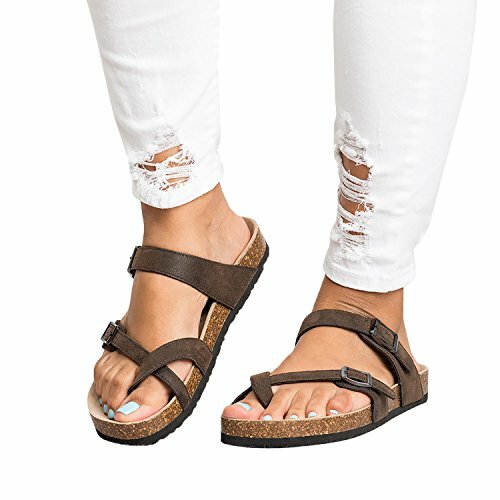 Gladiator flat sandals. 【Material】Faux Leather and Cork sole. It provides you with flexible wearing experience. 【Attention】 Different sizes available. Please refer to the description or the size picture before buying. 【Occasions】Casual, Work, Date, Party, Travel, Beach etc. Suit for spring, summer and autumn wear.